Join Faith Journeys on a Catholic pilgrimage to Mexico. 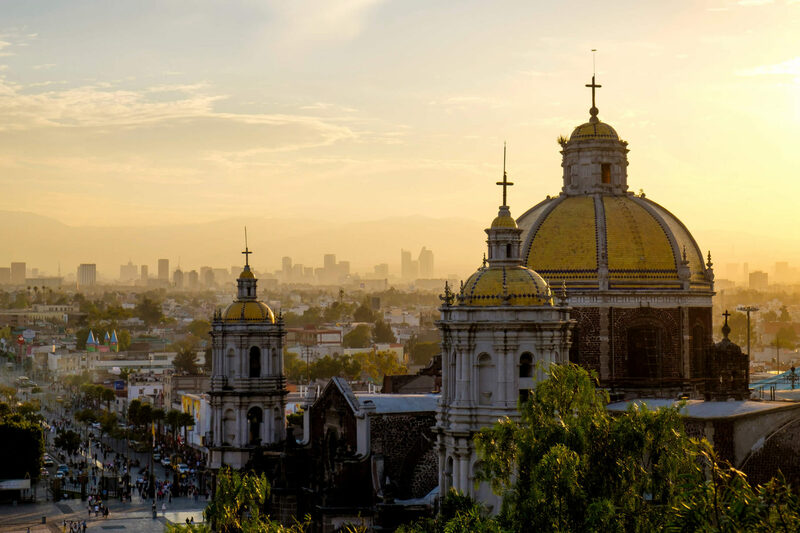 Our Catholic pilgrimage will take you to the heart of Mexico’s vibrant faith and culture. Mexico City is both the oldest (founded in 1325) and the highest (2,200 meters above sea level) metropolis on the North American continent. And with nearly 24 million inhabitants, it is the most populous city in the world. At the southern edge of the Mesa Central region of the Plateau of Mexico, the city remains Mexico’s industrial, financial, cultural, and political core. Together, we walk with Our Lady of Guadalupe, the Mother of the New Evangelization as she was described by Blessed Pope John Paul II. As our Blessed Mother leads us closer to Jesus, we will deepen our Catholic identity and respond to the challenge to be better stewards of God’s gracious gifts!